The second you open Facebook, Twitter, or your Feedly news app, there is a recurrent theme that is becoming increasingly hard to avoid. In the face of natural disasters, poverty, terrorists, riots and environmental destruction, it’s jarring to the senses to imagine ostentatiously “positioning” your company’s brand front and center. Social media is more about listening than it is about telling. In the same way that a tweet about an unfortunate experience with your brand provokes you to act, so should a disaster. The stab of distress you encounter when reading through the world’s woes should illicit a response – personally and corporately. Establishing a culture of service begins long before the crisis; the way your organization responds will be based upon your services, values and the strengths and passions of the very people who are in your organization. Your response to the world defines and shapes your brand, just as much as your employees, your product and your customers do. To make a lasting quantifiable social impact, you will need muscle, knowledge and passion – all resources you can find within your organization. At a minimum, part of your hiring strategy should be to intentionally hire, promote and retain employees who are interested in building thriving communities. Once those initiatives are in place, you can begin to think strategically about how you are going to respond to the needs of the world. Still, there is a wide, vast world of need. Selecting which nonprofit or social cause to support is just as much a strategic decision as it is with any other business initiative. Your company’s efforts will be more authentic when grounded in your own, and your team’s passions. Where are your employees already spending their time and money? Is there a way you can work together to make a difference? How can you pool the resources of your organization to attack an issue from all sides? There is an art to pairing companies and issues. The Roosevelt Coffeehouse invites customers to donate to charities, and makes this promise: “We are going to partner with organizations we KNOW are building wells and latrines. Those who are feeding people locally and internationally. And those who are rescuing and restoring dignity to those who have been enslaved.” The results are clearly posted in the shop, with links on the company website revealing that in just the month of April, they made a $450 donation to Restore International for Restore India, and $369 to Exile International for rescued child soldiers. 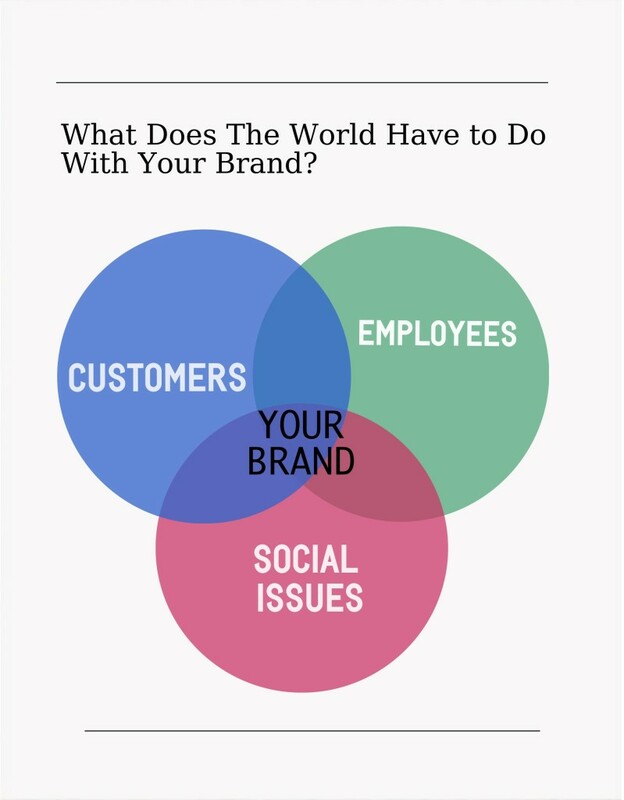 Social causes can open the door for you to build a brand engagement story that clearly and passionately rallies support for employees and customers to join you in building a solution. Social media should help you stay alert so that you can support and sustain corporate community engagement efforts, and to be prepared when disaster strikes. To make a lasting impact, you’ll need to establish a culture of service that is organized around policies, incentives and systems that create the opportunity to serve. Branding should always show the world what is already there and working within your organization.